This is an introduction to pinball maintenance and simple repairs for new pinball machine owners. There are many repairs and checks that any pinball owner can do without any expertise. 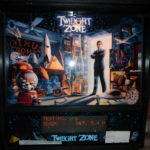 If you are a new owner or thinking about purchasing a pinball machine, then this site on pinball repair tips is for you. For those looking for information for the experienced tech, check out the main menu to ‘Find Stuff’. Get In On The Latest! Having problems with those old lamp sockets? Flickering, dim bulbs and all that sort of stuff – find out how to fix them. 1) Convert to LED’s New! Pinball machines contain potentially lethal voltage. Dangerous voltage may remain for a period even after it is unplugged. Prior to opening a pinball machine, be certain to unplug it, then turn it on to insure that it was actually unplugged. It is recommended that the machine be allowed to sit several minutes to allow any remaining power to dissipate. Repair should be left to properly trained personnel. If you are not qualified, you should not work on a pinball machine. Solvents such as isopropyl alcohol are flammable and should be used only in a well ventilated area. Do not operate the pinball machine until the vapor has dissipated. Follow all the warnings on the container. Never use lubricants or WD40 as that can lead to a potentially flammable – explosive situation. Proceed at your own risk! Cabinet vs. Backbox in a SS pinball machine. Pinball machine can be divided into two general areas, the playfield / cabinet, and the backbox or head. There are also two general categories of pinball machines, solid state (SS) and electro-mechanical (EM) machines. SS machines have digital displays that power up when the machine is turned on. EM machines use mechanical reels that spin to display the score. Maintenance of SS and EM playfields are similar. However, the similarity ends there. EM machines use relays, motors and switches to run the game. 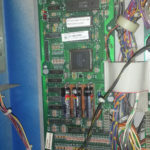 SS machines rely on electronic circuit boards (PCB) and computers to control the game. The first step is to identify your pinball machine type and model. An excellent resource is the Internet Pinball Database. Look up your pinball machine on this database to determine what type it is. Find out the manufacturer, the year, and the type: Solid State Electronic (SS) or Electro-mechanical (EM). If your machine is solid state, also note the MPU/CPU type. Keep this information handy for dealing with parts suppliers and repair people. It is always helpful to have the operating and repair manuals. These manuals can usually be purchased at Steve Young’s The Pinball Resource, Marco Specialties, or Mayfair Amusements. If your machine was manufactured by Stern, Sega or Data East, the manuals may be available from Stern Pinball, Inc. If you are buying a used game, the chances are pretty good that a wrong fuse was installed at some point. If it is large difference, then a problem could cause severe damage to your new pinball machine or even a fire. It is very important to check that the proper values are installed. For more information on locating the fuses, see “Fuse locations“. Regular maintenance of a pinball machine can keep it running smoothly and maintain its resale value. Prior to starting, see the Caution above. 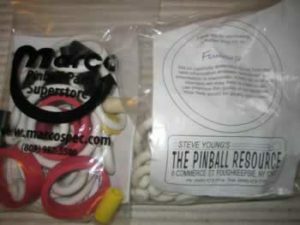 The supplies suggested below are available from companies that supply pinball parts. Isopropyl alcohol (91%). Do not use rubbing alcohol. 400 grit sandpaper or flexstone (switch cleaning). Nut driver set / socket wrench set. Socket set used for some flippers. Multimeter / DVM (volt ohm meter). Make sure it has a diode test function. Novus #2 or #3 cleaner. Treewax or Meguiar’s Carnauba wax (or Optimum Car Wax®). Light bulbs – type varies depending on the pinball machine. Or LED’s. New pinball(s)! – replace these once a year. In quantity, they are $1 ea. Get a bunch and replace them every year when you replace the batteries. Flashlight (adjustable mounted or head strap type is nice). New rubber rings (replace if yours look worn out). Replacement batteries – if you are unfortunate to still have them. Or get rid of batteries forever. Pencil soldering iron. I prefer 35 watt for under the playfield work. Solder. 60/40 (tin/lead) rosin core. Note that newer pinball machines are lead free and use silver solder. That requires higher heat and is much harder to work with, so I stick with tin/lead. Soldering Iron – Tenma 21-147 Temperature Controlled Soldering Station is a nice one. They make analog and digital versions. Higher than 25 watt is too much for circuit board repair. Solder, also. Desoldering Tool – I like hand vacuum pumps (Soldapullt). Desoldering braid can also be used. Digital Logic Probe (for circuit board repair, this is nice to have for the more sophisticated repair person). Capacitor tester. Some DVMs have this built in. Hand crimpers – for replacing the wire plugs on circuit boards. 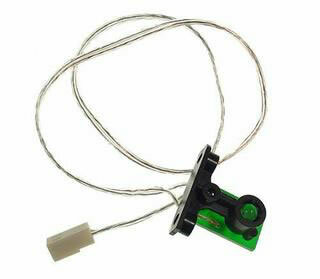 Circuit Board Holder – Like Panavise circuit board holder. I wish I had purchased this 30 years ago…. Table mounted magnifying glass with light. The pinballs wear, get chipped and can contribute significantly to the playfield wear. It is recommended that pinballs be replaced regularly. New pinballs are inexpensive and can be obtained from the parts suppliers listed below. Don’t save a few dollars and ruin a playfield. The condition of the playfield can determine the resale value of a machine. Additionally, dirt on the playfield can slow the play down. As an owner, a playfield is easy to maintain. To access the playfield, you will have to open up the machine and remove the cover glass. If you find it necessary to tilt up the playfield, it is recommended that you remove the pinball(s) first. Otherwise, raising the playfield may eject the pinball, which could damage the playfield or backglass. Removing the pinball can be simple on single ball machines or tricky on multiball games. For single pinball games, you may be able to reach in and remove the ball, or manually press the solenoid ball eject mechanism. For complex SS games, it may be easier to enter the service menu to eject the balls. Consult the repair or operating manual for the specific procedure. 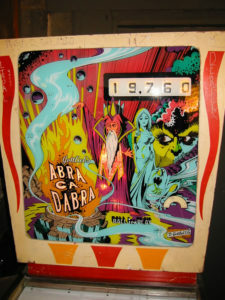 A playfield with the ‘Diamond Coat’ ID and logo. First step is to identify the type of protective coating on the playfield. EMs and early SS used lacquer, which tends to yellow. Later pins used a harder coating sometimes called Diamond Plate, hard coat or just ‘Clear Coat’. It is exceptionally hard, will not yellow, and should not wear through or get ball swirls. If your playfield has a hard ‘Diamond Plate’ finish, it will be marked with that name, usually down near the apron where the ball drains. For all playfields, generally it is best to start with the least abrasive. Wipe with a moist microfiber cloth. I usually dampen with 91% isopropyl alcohol which does a great job of removing wax. Others recommend a cleaner such as ‘Simple Green’ which does a good job of removing oils. A playfield with a hard coat and lots of black rubber debris and dirt. Novus #2 is the recommended cleaner. Follow the instructions on the containers. On clearcoated playfields, use this sparingly since these cleaners are mild abrasives and remove some of the coating. Novus #2 will remove the old wax and grime, plus a little bit of the outer coat. For exceptionally dirty playfields that do not have a hard clearcoat, Magic Erasure with 91% isopropyl alcohol works well, but this will remove more of the top layer of the playfield. After cleaning with Novus 2. Note: On clearcoated playfield, never use Magic Erasure. Magic Erasure will remove the top coat which should be left intact. Magic Erasure is especially effective when working on older playfields (EM’s and early SS) as it removes the protective but damaged lacquer coating. It is effective in removing ball swirls. If used to excess, it can remove the paint and get to bare wood. Check the erasure regularly and at the first sign of paint – STOP. After using Magic Erasure, the playfield will have to be re-sealed (lacquer, polyurethane or automotive clear), so do not use Magic Erasure unless you are prepared for this complicated step. Plastic ramps can be cleaned with Novus plastic polish – Novus #1. Another alternative for plastic is Plexus Plastic Cleaner. The playfield should be waxed regularly. This will help prevent wear and make the game play faster. There are as many opinions about what wax to use as there are waxes. For many, the safest choice is a real wax, a hard or paste wax, such as Treewax and Meguiar’s Carnauba wax are among those recommended. Others recommend Optimum Car Wax® which is a synthetic. While this could be a superior product to Carnauba, there is less experience among pinball user with synthetic waxes. Do not use a wax / cleaner as it contains abrasives. Do not get the liquid variety as it contains solvents and water. Purchase a soft cloth like a microfiber towel to reduce surface scratches. A t-shirt works but can leave surface scratches that could be visible in a newer clearcoated playfield. For a complete guide to playfield cleaning and restoration, see the links at the end of this page. Information about rebuilding flippers . Pinball flipper repair is not difficult. To start, check the flippers and other moving parts. Manually move them and make certain that they do not contact the playfield. If a flipper scrapes along the playfield, it will quickly wear through the surface, which will detract from its appearance and reduce the resale value. The flippers should be held above the playfield by a bushing shown to the left (the flippershaft is inserted through the hole in the bushing). This nylon bushing should protrude above the playfield and prevent the flipper from rubbing against the playfield. If the flipper was rubbing against the playfield, replace this bushing. It is available from the pinball parts suppliers listed below. Removal and replacement is easy for anyone who is handy with a screwdriver, socket wrench and / or Allen wrench. After replacing the bushing, reassemble the flipper mechanism, then tighten the bolts while holding the flipper in the proper position. Flipper parts wear with age and the action of the flippers can become sluggish or start to stick. Sometimes it is possible to restore flipper action by disassembling the components, clean them (with isopropyl alcohol) and reassemble. However, it is usually a good idea to rebuild the flippers by ordering a rebuild kit from one of the pinball parts suppliers. These kits come with all the parts needed, with the possible exception of a bushing (shown above). For someone who is handy with a screwdriver, socket and allen wrench’s, this is an easy job. A new end of stroke (EOS) switch will require the use of a soldering iron. Do not make the common mistake of trying to repair a sticky flipper by tightening the spring as that is addressing the symptom and not the problem. Never use any type of lubricants with the flippers. While you are checking the flippers, be certain that the correct type of coil is installed. Unfortunately, some service personnel just throw in what they have handy. 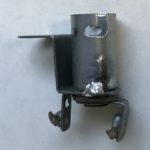 It is not unusual for a game to have a too weak solenoid installed, making difficult shots impossible, or too strong of a solenoid which can lead to broken parts. Consult the operating or service manual for the correct solenoid number. Information about rebuilding flippers . Important note: Isopropyl alcohol and other solvents are flammable. Use in a well ventilated area. Do not operate the pinball machine until all vapor has dissipated. The rubber rings on the playfield dry out and crack. As they age, they slow down the play and detract from the appearance of the game. 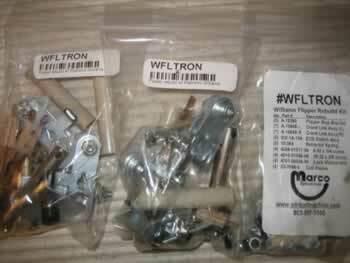 New sets can be purchased from pinball parts suppliers. With older games, all that is generally necessary is to remove the playfield plastics using a nut driver and screwdriver. It is a good idea to take digital photographs of the playfield before you start with additional pictures during the disassembly. These pictures will help with reassembly. Some parts suppliers will provide pictures with their rubber ring replacement kits. The location and size of the rings are also listed in the pinball manuals. The rings usually have raised mold markings on each which indicate their size the can help with determining their location. The general rule is that you should always replace the rubber rings on your playfield with the same color that the games came with. However, it is difficult to know for certain what color rings were intended to be used with the game. EM games should always have white rubber rings. Black rubber is much harder and it could damage the posts of these older machines. Newer games (1995 or newer) were usually shipped with black rubber rings. The black rubber rings do not show dirt as easily and this could be the real reason for the change. However, the harder black rubber rings have less bounce than the white rubber rings. Replacing the black rings with white ones may speed up game play. It also might (or might not) lead to more breakage with the faster bounces. Black rings will contribute to dirt on the playfield. White rubber rings may not cause as much dirt as they age but they will look dirty sooner. I stick with white rubber rings and convert newer games that come with black rubber to white. It keeps the playfield much cleaner. Games with ramps, either wire or plastic, are more complex to disassemble. Some games like White Water have four ramps that intertwine with each other. Disassembly and reassembly requires a great deal of patience and care. While you have the machine apart to replace the rubber rings, it is a good idea to clean and wax the playfield. When reassembling, sometimes wood screw holes are too large or have been ‘stripped’. An easy fix that usually works is to insert a toothpick into the too large hole, then tighten the wood screw. If this does not work, try a mixture of sawdust and wood glue or a toothpick and wood glue. For really tough situations, try Mr. Grip. Note: I will soon add a section on how to disassemble, clean and reassemble a pinball machine. Playfield switches control the scoring of the game. They can become dirty or bent and fail to activate scoring. There are three types of switch points: gold plated, silver, and tungsten (and sometimes copper). Tungsten are designed for high current and are used for pop bumper, flipper and EOS (end of stroke) switches that directly power the pop bumper coil itself on all EM (Electrical Mechanical) and early SS (Solid State – computer controlled) games. Silver points were typically used in EM’s for relay contacts, are medium to high current (depending on size and shape of point). Silver tarnishes and will cause little to no connection, even when new, so silver contacts are not used in SS games. Gold plated points were used once games went SS. SS switches require very little current and used low voltage in the switch matrix. The gold flashing will not tarnish like silver, but still needs to be clean of any debris or coatings. Never use contact cleaner on any switches. Some switches (most in EM games) use high voltages and cleaners are not suitable. Use of these cleaners can lead to switch failures or even fire. The first step is to test the switches. The easiest method is to open up the game, remove the cover glass and then manually manipulate the switches. This can be accomplished with a pinball or a push with your finger. If it works, leave it alone. If several switches do not operate and you have a SS game, look at the switch matrix in the operating or repair manual. If the non-operating switches fall in the same row or column, then it may be a problem with the wiring or the circuit board. For a detailed discussion about how to adjust playfield switches, including roll over, star, pop bumper and sling shots, see Pinball Switches – Fixing, Adjusting and Cleaning the Right Way. The only switches in a SS game that may require filing or sanding are the EOS (end of stroke) switches and flipper switches. * The EOS switches are located next to the coil that operates the flipper under the playfield. The flipper switches, located just inside the cabinet from the flipper buttons. For older SS games, the full current flows through these switches just like EM games. There are two ways to tell if you have full power switches: 1) if they appear pitted or severely worn or 2) if you see a bright electrical arc while operating the flippers; then they are full power and need to be filed with a metal file. More information on flipper maintenance. *The exception is machines controlled by Fliptronics (Williams) circuits or similar designs in Data East/Sega/Stern pins. These gold EOS and flipper switches handle low voltages and should never be cleaned with sandpaper or other abrasives. They must be cleaned following the same procedure outlined for SS gold leaf switches, with a Q-tip and isopropyl alcohol . Fliptronics (Williams ~1992 to 1999) switches can be easily identified because they are not touching (normally open) when the flipper is not in use. DE/Sega/Stern also are low current switches but are closed when the flipper is not in use. These also must not be filed. Some cabinet flipper switches have LED optical switches. They can be cleaned with a Q-tip and 91% isopropyl alcohol. Microswitches are enclosed boxes and cannot be cleaned. If they malfunction, they may need to be physically adjusted or replaced. Opto switch – courtesy Marco. Opto switches have a LED (transmitter) and a receiver. There are many different types: horseshoe shape, on circuit board, etc. It is possible to physically align opto switches (if on separate boards). They may be cleaned with a q-tip and isopropyl alcohol. However, when they malfunction it is usually a sign that they need to be replaced or there is a problem with the circuitry. It is usually the transmitter that fails, but these should be replaced as matched pairs. Some opto’s use light of different wavelengths and a certain transmitter and receiver may not work well together. It may be possible to see if a UV transmitter is working by looking at it through a digital camera’s LCD viewfinder, but only if it is possible to see straight on. In a viewfinder, the LED will appear to glow. Other opto switches use visible light. 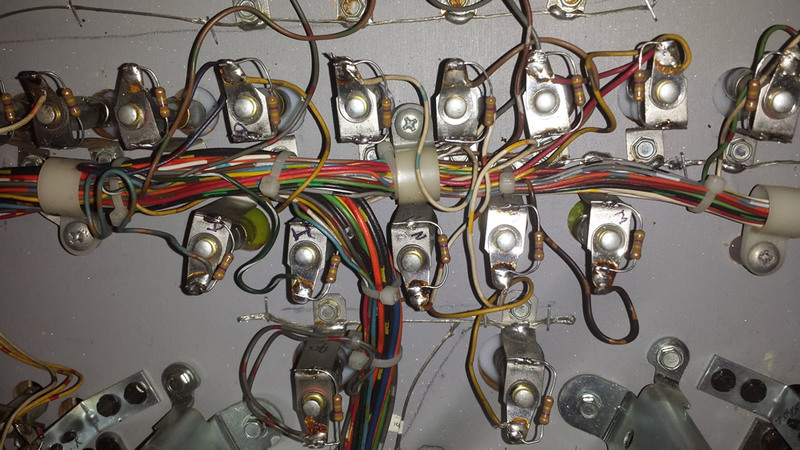 For a detailed discussion about how to clean and adjust opto switches, see Pinball Switches – Fixing, Adjusting and Cleaning the Right Way. Reed or magnetic switches act by sensing the presence of the metal pinball. They are sealed and cannot be cleaned. Malfunction usually means that the switch has failed or there is a problem with the wiring or the circuitry. These are not commonly used. 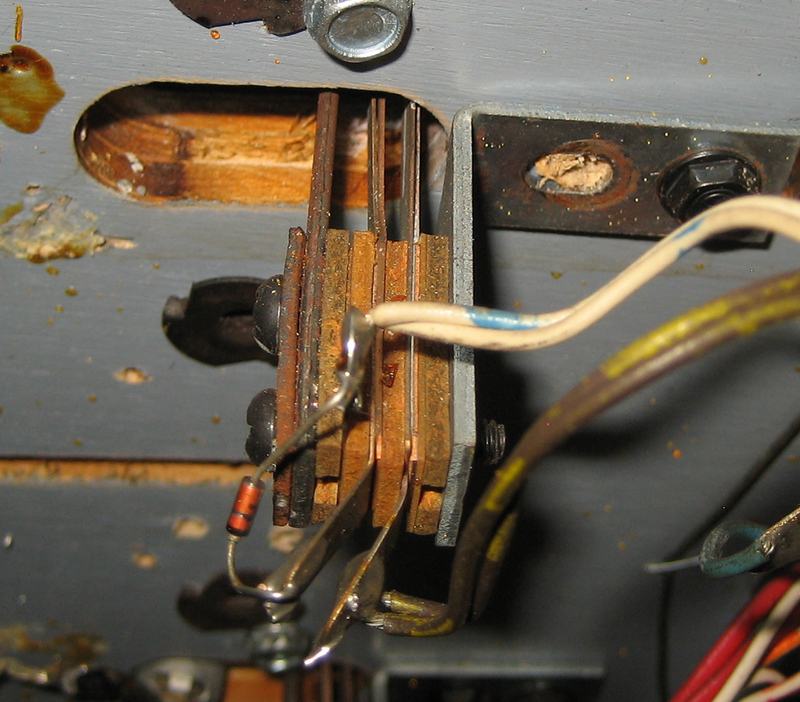 Capacitors were used, primarily, on early Bally and Stern SS pins. Capacitors are there for a purpose. Some switches, such as targets get hit so briefly that the computer does not register them. The capacitor helps to simulate a longer hit so that the computer can register the points. However, there is a downside. Caps can pick up electrical noise, such as a solenoid firing and send a signal to the computer giving a false switch hit. Bally especially went overboard installing caps where they are not needed. Some think they are not needed on roll over switches, although it is possible for a ball to fly through a lane and not register. Drop targets never need them. Stationary targets usually need capacitors. If a switch appears as stuck ‘on’, yet inspection indicates that the switch is not closed and it has a capacitor across the switch, try removing the capacitor. Removing it may fix the short or stuck on switch. Try playing the game. If the switch registers properly, you can leave the capacitor off. However, it may not always register properly. If you find that the ball hits the switch and the points are not always registered (the 8-ball target on Bally Eight Ball is an example), then install a new capacitor. 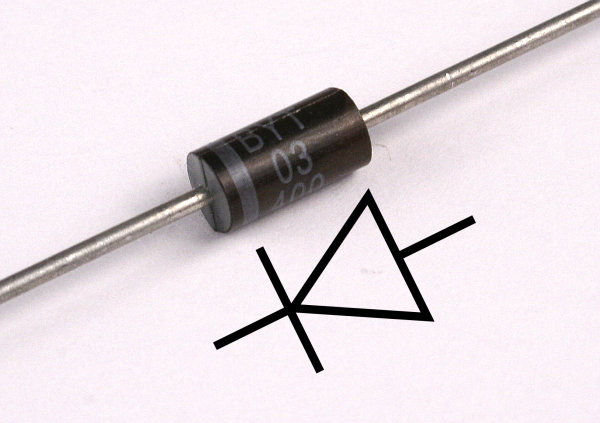 A missing or shorted diode on a switch that also has a capacitor can cause the machine to read an ‘open’ switch as ‘closed’, so it may be necessary to test the diode also. Diode allows the current to flow only in one direction. All SS switches are in a switch matrix and must have a diode in order to work properly (note that EM switches do not have diodes). If this diode is missing or shorted, then activating that switch will give wrong information to the computer and tell it that other switches have also been closed. If the diode has failed open, then that switch will never operate. Troubleshooting a failed open diode is fairly easy – the switch will not work. Troubleshooting a missing diode is done by inspecting switches – a rather tedious but usually necessary process. However, troubleshooting a shorted diode is not easy. To find a shorted diode, one must test a diode using the diode test setting on a DVM one at a time. It is better to do this with the column and row plugs removed from the CPU / MPU board. It is possible, by using the switch test in the pinball machine, to narrow the problem down to 4 or so switches. Doing this involves some pretty involved sluthing. For more detailed information, see this great article on switch matrix troubleshooting and theory. Battery in Williams WPC game. Replace annually. All solid state (SS) machines have batteries to maintain the machine memory (find the batteries). The memory retains settings and other information such as the high scores. Batteries will leak with time and when they leak, they can destroy the circuit board (PCB) around and below the location of the batteries. It is important to replace the batteries with fresh ones annually. It is best to pick a time of the year, such as new year’s day, to replace your pinball batteries along with the smoke alarms in your house. To replace the batteries, it will be necessary to remove the translite or backglass and open the backbox. The batteries are located on the main board in the backbox. After you have replaced the batteries, it is a good idea to mark the date on them with a sharpie. That way, you can tell at a glance how old they are. If you are removing batteries that are only a year old, don’t throw them out! They are most likely still good. Keep them and use them in your remote controls or other applications. You just don’t want them sitting in your pinball machines for years and years. The batteries can be replaced with the power on. This will save the settings, the high scores, etc. However, this must be done very carefully and by qualified personnel (see caution). In addition to the standard precautions, care must be taken to install the batteries in the proper direction (+ to the + side) with the power on. While the voltages around the batteries are typically low, there are other much higher voltages nearby. Accidental shorting of those voltages can destroy circuits and be quite hazardous. Battery pack to keep leaking batteries off the board. Some pinball machines have been modified so that the battery pack has been moved off the circuit board, usually to the bottom of the back box. 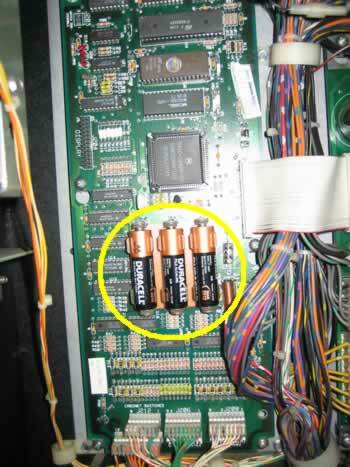 Other machines have been modified so that the batteries have been replaced with a large capacitor and these do not require routine maintenance. The best way to avoid issues with leaking alkaline batteries is to get rid of the batteries altogether. Electro-mechanical (EM) pinball machines do not have batteries. Instructions on converting light bulbs to LED’s. Light bulbs burn out and, for the most part, they are easy to replace. Identify what type of bulbs your machine uses and order a supply from the parts suppliers. If you have a repair manual, the types used are listed. If not, it will be necessary to open your machine and look at the base of the bulbs. Always turn off the power prior to removing or replacing a bulb. If the power is left on, it is possible to short the socket or wiring to other higher power circuits and this can damage / destroy the circuitry. 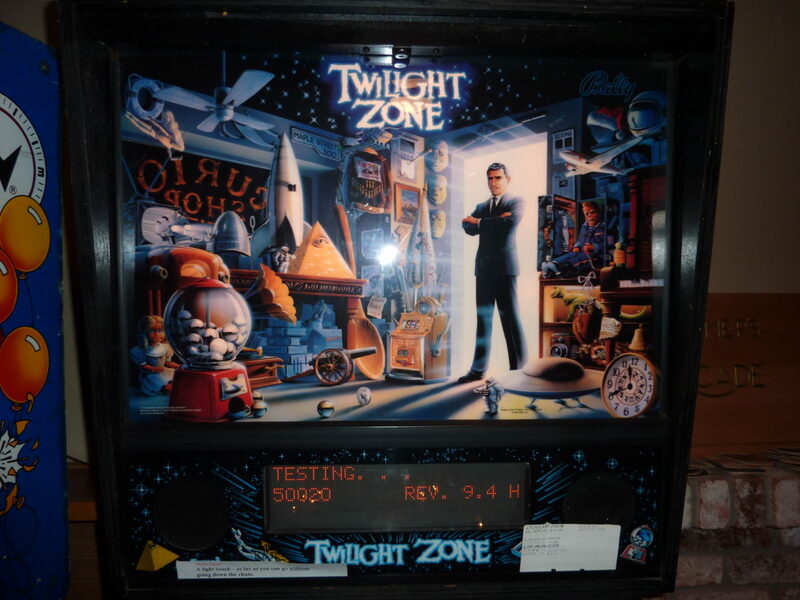 Prior to tilting up the playfield, be certain to remove the pinballs to prevent damage to the game (see above). Games use several different types of light bulbs. These are located on and underneath the playfield and behind the backglass. Some of the bulbs are general illumination lights while others are flasher lights. It may be necessary to remove the playfield plastic to access the bulb. The type of bulb can be identified by removing the bulb from the socket and look at the metal base of the bulb where an identification number is stamped. If your machine uses #44 lamps, #47 lamps can be substituted. #47 lamps use less power and run cooler than #44 lamps. Lower power will put less stress on the circuitry and are less likely to warp the playfield plastics. LED’s can be substituted for standard light bulbs. LED’s have the advantage of using much less power than standard bulbs. They also run much cooler. LED’s can be brighter. LED’s are not without disadvantages. LED’s can be much brighter and the light can be focused. Some report a strobing or flicking which can be annoying or cause headaches. Also, LED’s run on DC while many bulb circuits run on AC LED’s are much more expensive than standard bulbs, but can last much longer. If considering LED’s, be certain to match the voltage of the current bulb, as well as if the circuit is AC or DC. Some parts suppliers specialize in LED’s and be quite helpful when trying to match LED’s to your pinball machine. If considering converting to LED’s, please read about converting to LED’s. Some light bulbs are located in the pop bumpers. To access, you will need to remove the pop bumper cap. Some caps are snap-in and care is needed when removing to not break the caps (Eight Ball Deluxe, for example). Others are held in place by small screws. To access others, it may be necessary to remove a ramp or other playfield items. Cleaning a playfield and replacing the rubber rings involves disassembling the playfield components. That is a great time to replace those hard to reach bulbs. Playfield bulbs are cheap, so just replace those that are covered by playfield plastics or in other hard to reach places. All lamps are referenced by numbers on the metal base and these can be hard to see. Order the same type of lamps from one of the suppliers listed below. The only exception is if your game uses #44 bulbs (see above paragraph). The sockets that house those bulbs are a constant source of aggravation for owners. The lamps will flicker off leading the owner to think it is burned out only to flicker back on. The source of that problem is usually the socket themselves, especially those for bulbs with a round base. These sockets are not made to last very long. Sometimes the only solution is to replace the socket. However, that can be costly and involves unsoldering and resoldering two wires to every socket. Owners have developed tricks that can sometimes restore these sockets. One is to clean the socket to remove the oxidation that accumulates over the years. Many suppliers have bulb socket cleaners specifically designed for this task. Others use a Dremel at very low speed, with a rough sandstone attachment to accomplish a similar action. Another cause of flickering lights is due to the washer drying out. A small drop of household oil will cause the washer to expand and help insure better electrical contact. Yet others will swear the only fix is to solder directly to the moving parts. That can be tough because the build up of oxide and oils make it difficult for the solder to stick. There are generally two types of backglass. Older games used a backglass that was created through a silkscreen painting process. Newer machines have a backglass that is usually referred to as a translite which is a plastic sheet. A backglass destroyed by flaking. A painted silkscreen backglass can peel, chip, craze or flake. To preserve its beauty, it can be sealed with a Krylon clear coat spray. This is easy to do and will preserve your backglass for years to come. For more information, visit the PinballHQ website. Clean a silkscreen backglass very carefully. Since these are painted on and can become fragile with age, any physical contact can remove paint. If you must clean, use nothing more than a damp cloth and nothing stronger than water. When restoring a backglass, the general rule is that it is better to leave an imperfect backglass alone. Usually a backglass with some flaking looks better than a poorly touched up backglass. A translite for Twilight Zone. Translites do not generally suffer from age related damage and should not be treated. NEVER clean a translite with anything other than a damp cloth. Cleaning the translite with a typical glass cleaner may remove the translucent white background and will ruin it. Minor spots where the white has been removed may be carefully touched up with a small dab of white out, but are more often best left alone. When moving parts start to stick or malfunction, many owners reach for lubrication to solve the problem. In the long run, lubrication causes more problems than it solves. The addition of lubrication leads to gummed up moving parts. Never lubricate any parts unless instructed by the repair manual. Pinball parts, for the most part, are made to run dry. Never ever use common lubricants or WD40**. Many lubricants and WD40 are flammable and can result in fire. To repair a balky or sticking part, it is best to disassemble the part and clean it with 91% isopropyl alcohol. For solenoids, it may be necessary to replace plastic or metal sleeves and install new springs in order to restore the part. Flippers and their components wear out. The only solution is to order and install a rebuild kit available from pinball parts suppliers. A rebuild kit is easy to install for those who are handy with a screwdriver. For other moving parts, it may be necessary to replace the springs. Springs are cheap and easily obtainable from pinball supply houses. Be certain to allow any flammable liquids to evaporate prior to starting the machine. Lubrication is required only where metal parts hit metal parts. This is especially common in EM pins. This includes disks that spin and contacts press down on another disk. Use special lubrication available from pinball suppliers. Some report good results using Teflon grease. Others use sewing machine oil. Use sparingly. Motors with gears and bearings usually require grease. Newer ones may be sealed and cannot be greased. Those with plastic parts generally are not greased. **WD40 was never designed to be a lubricant. It was designed as a Water Displacement (WD) to prevent rust by keeping water away, and as a degreaser. 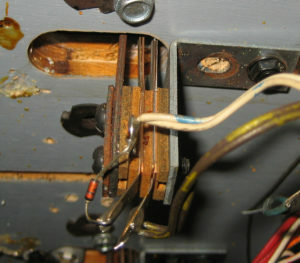 A common cause of a non-working pinball machine is a blown fuse. Pinball machines have many different fuses. These can be located in the backbox, under the playfield, or in the area below the playfield. Prior to inspecting the fuses, be certain that the machine is unplugged. Sometimes it is possible to identify a blow fuse by looking at it. However, the only way to be certain that a fuse is good is to check it with a voltmeter. Set the voltmeter to resistance and set it to the lowest resistance value. Check to insure that your meter is working by connecting the leads together. The value on the voltmeter should read near zero (0.1 – 0.4 ohms is typical). Remove the fuse from the holder and connect a lead from the voltmeter to one end of the fuse and the second voltmeter lead to the other end. If the fuse is good, the meter should read near zero. Fuses are rated by their current (amperage) capability. Be certain to always use the correct value. Never put in a larger current fuse then specified. Fuses are also rated by voltage. Compare the voltage rating of the fuse with the voltage in the circuit. Never use a lower voltage fuse in a higher voltage circuit. More detail about locating, checking and replacing fuses is located here. If you have a (EM) electro-mechanical machine, it could be the contacts between the relays, a switch that is not closed, a bad tilt switch or, oh hundreds of stuff. Some more help on EM pins can be found here (work in progress). If you have a solid state (SS) game, it could be a bad connector or one that has just come loose, a connection between boards, an IC loose in its socket, bad solder joint, a blown component or just about a million other things. It is a good time to ask, “What are my capabilities?” I have seen many fine machines ruined because owners tried to do what they were not capable of doing. At this point, it may be time to do more detailed research, contact a repair facility, or find a very good, competent friend. If looking for help, please see these FAQ. If willing to do some more research, please consult the external links to repair information. Please note that these links assume a basic knowledge of electronics as well as the ability to solder. If you do not have these skills, then these resources may be to advanced. Are you at the point where you can solder and replace circuit board components? If so, then learning how to use a Digital Logic Probe is a great tool to use. Definitely for qualified electronics technicians only. Main article. SS pins have plugs that are notorious for burning or becoming broken. Instructions on crimping connectors help. Main article. Get Rid Of Those Batteries – Forever! Those AA batteries will leak and ruin your CPU. Find out how to put in memory capacitors, NVRAM and button (watch batteries). Main article. The plasma displays used on all SS pins wear out. Unfortunately, replacement displays for early (non-DMD) pins are either impossible to find, or extremely expensive. Manufacturers are making replacement displays that are LED’s. A step by step procedure makes this process easier. Main article. 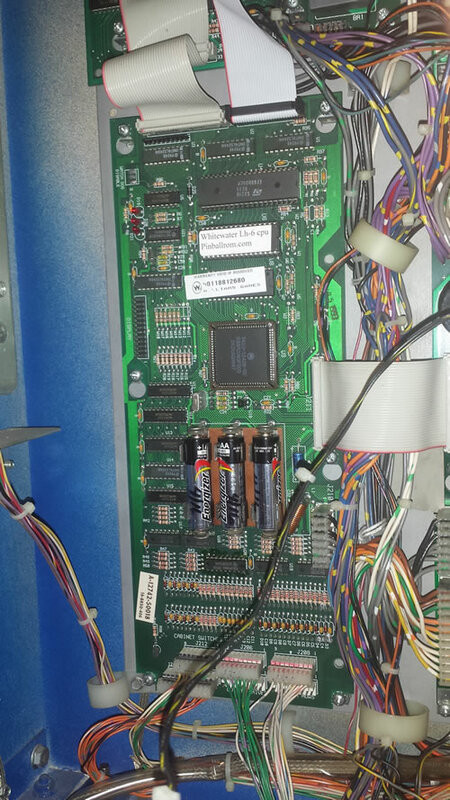 The high voltage board supplying power to Williams / Bally DMD’s frequently needs to be rebuilt. Great Plains Electronics sells a kit of parts. 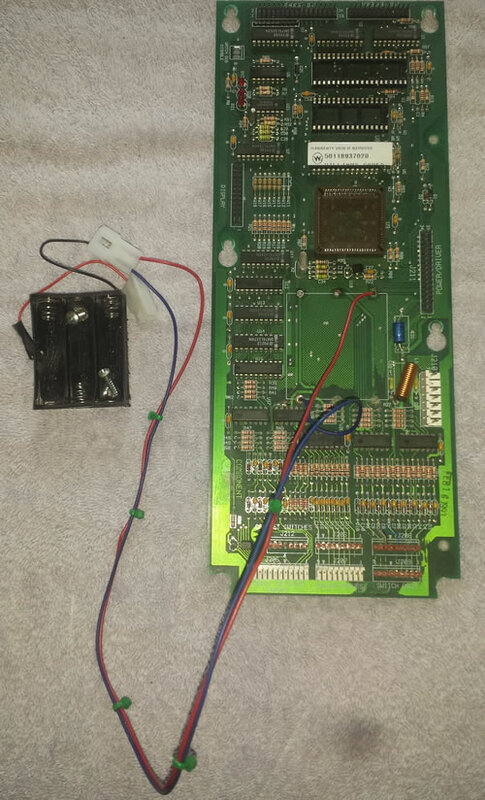 I created a marked photograph of the DMD board to make it easier to identify the parts that need to be replaced. Replacement for worn out playfields are difficult to find. For many years, mylar overlays were the only alternative. Although some playfields are now being remanufactured, overlays may still be available at about 1/3 the price. Here are instructions for how to install a playfield overlay. Working on a Gottlieb System 80 can be quite a challenge. There are many excellent resources on the Internet. However, here is a hint as how to make that CPU output test signals that make it easier to trace problems. Main article. Cleaning up a pinball playfield can be a pain, but it is made easier with a pinball rotisserie. Main article. How to install as shaker motor on the original Lord of the Rings pinball machine by Stern. Main Article. Looking for repair help? Please see these FAQ. Please let me know of any inaccuracies, updated information, etc. Looking for repair help? See FAQ prior to contacting me. Mr. Pinball – Upcoming events. Classified. The site to go for current information. Pinball News.com – Lots of pinball news. PinballHQ.com – Maintained by Clay, this was the mother load of repair information for the advanced pinball repair. Much of it was removed in April of 2011. Portions have been restored since that date. Great EM repair information as well as restoration details. Pinball Wiki – Launched as a replacement for the much loved Clay’s repair site, this has a long way to go to cover the same amount of information. Much of this information is highly technical and you really have to know your stuff, or just don’t do it. rec.games.pin – An old fashioned discussion group. Post your question starting with “Tech: [name of machine] [problem]”, then explain it in detail. Helpful people! Pinside.com – Lots of pinball information. Post repair questions here. Mark’s Guide to Williams System 3 to System 7 SS board repair. Similar to Clay’s guide – great help for specific Williams pins. Tom Arnold’s Tips – Great not so common sense tips for pinball machine owners. Star Tech Journal – Information for the professionals. Flippers – Pinball basics, articles and information for everyone. Also contains information about pinball in Europe. Switch Matrix Troubleshooting – A great introduction to switch matrixs used on SS pinball machines. Mr. Pinball Repair Tip Archive – Lots of useful information. Facebook Pinball Repair Advice – The smaller of the two groups, but the monitors seem to be a bit more relaxed here. 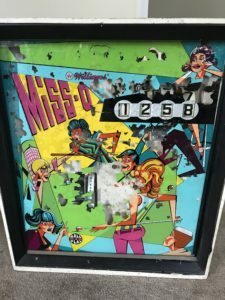 Facebook Pinball Repair Advice – The monitors of this group are a bit agreesive at banning people, but there is a lot of help here. Repair Manuals and Documentation – A treasure trove of downloadable documents. Game Specific Manuals – Manuals for different games. Download is helpful, but it is suggested to purchase an inexpensive copy from a parts supplier. Repair Manuals – Mostly video, but a link to some pinball manuals. Pinball Help.com – While there might be useful information on this site, but he is new and learning as he goes. There are mistakes and he admits that. Introduction to Electronics – YouTube video instruction training starting with the basics. How Flippers Work – A comprehensive explanation from Steve Kulpa. Upgrading WPC Speakers – Tony Dziedzic’s excellent guide on how to upgrade your Bally/Williams pin sound. Chip Cross Reference – Maybe find a replacement for that obsolete part. Gottlieb System 80 CPU Testing – Information specific to testing Gottlieb CPU board. Coil Cross Reference – Extrememly helpful information about pinball coils and cross references from Pinball Medic. Coil Resistance Info – Information on resistance values for pinball coils. Resistance for Stern Pins – A PDF archive list of Stern coils, including some of the ones for some Data East / Sega pins. Resistance for Stern Pins – Web archive from Wayback Machine. List of Stern / Data East / Sega coils. Resistance Chart for Coils – To test a coil, one needs to know the resistance. Note: 5R2 means 5.2 ohms. Fuses – Information on the different types of fuses in a pinball machine. Tech Sheets – Reproductions of those information sheets in the backbox. Power Supply Theory – A description of how a power supply works from Pinpoint Electronics. How a Bally Solenoid Driver Works – from Steve Kulpa, a great description. CPUs Used in Pinball – Understanding Microprocessors in Pinball. Resistor Color Chart – How to tell the value of a resistor. Resistor Code – Interpret those ‘R’ codes plus 3 and 4 digit codes. Identifying Capacitors – Information on common capacitors to identify replacements. ASIC Reseating – Having problems with a Williams WPC reboot? Pinball Links – Another link to other pinball links. Listing of owners and those who can help with specific games. 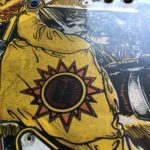 PAPA – Perhaps the most detailed and complete pinball playfield restoration guide. PinballHQ.com – Maintained by Clay, this still includes detailed restoration guides. Vid’s Guide to Playfield Restoration – Unfortunately on Pinside, which makes it hard to follow, but a great guide. Playfield painting help – From Cliffy, one of the experts on restoration. 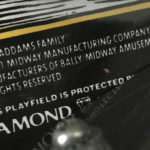 Cliffy’s Pinball Restoration – Cliffy’s playfield protectors are legend. Here Cliffy outlines his restoration project. Pinball Rehab – High end restoration. Use of airbrush with high quality paint. If you want top notch, start here. Ed Cheung – Step by step restoration. Included making and applying spot playfield overlays. The Pinball Fix – A Nicely Setup Guide for Restorations. Chuck’s Arcade – Tips on cleaning and flame polishing ramps. One page about swapping a playfield out. 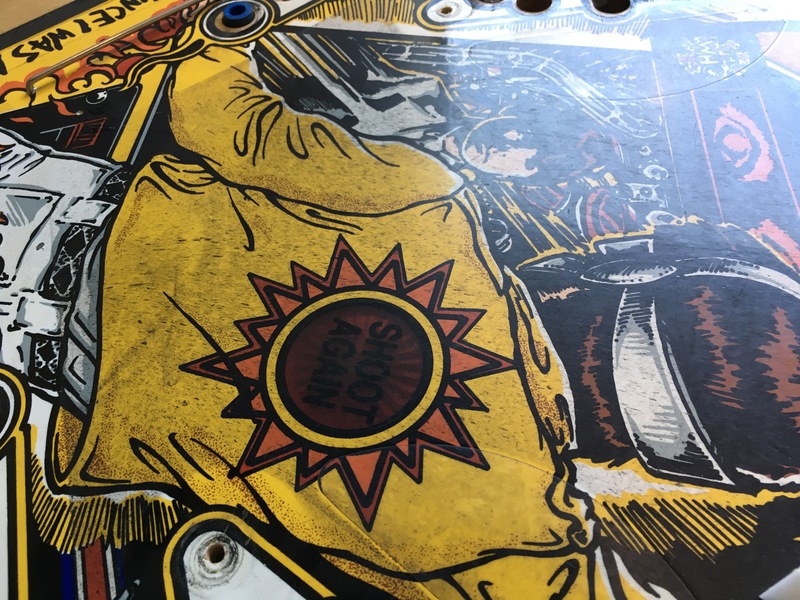 Michel Oversteyns – pinball playfield restoration. Very nicely done. Flippers.com – Backglass and playfield restoration information. Backglass Restoration – Use decals to repair a backglass, by Alan Lewis. Mike Minchew – Playfield restoration information. Playfield Overlay – How to install a playfield overlay. How To Create Decals – Make your own decals for drop targets or spinner. Playfield Touchup With Decals – Don’t repair a playfield with paint. Make an overlay. PDF download archive. Download a Photogrid – for photographing a playfield for making decals. Download a Color Match – used for getting your printed colors to match the decal. How to use the Color Match and Photogrid (above) – PDF archive of extremely helpful instructions. Backglass Repair – How to repair a backglass using decals. Backglass Repair – 1 – 2 – 3 -Another excellent site with three examples on repair using decals. How to remove plastic playfield inserts – You Tube Video. Mylar removal – Remove that yellowed damage Mylar without damage. This works, but I like freezing it. Reproduce Playfield Plastics – How you can make your own playfield replacements. Make your Own Playfield Plastics – A second “how to” article. Make Playfield Plastics – Another “how to” article but using photo paper. Make Playfield Plastics – A YouTube video on how to make plastics using decals. Flame Polishing Ramps – How to remove that worn look on plastic ramps. The Teardown – Step by step pictures on repairing pinball machines. 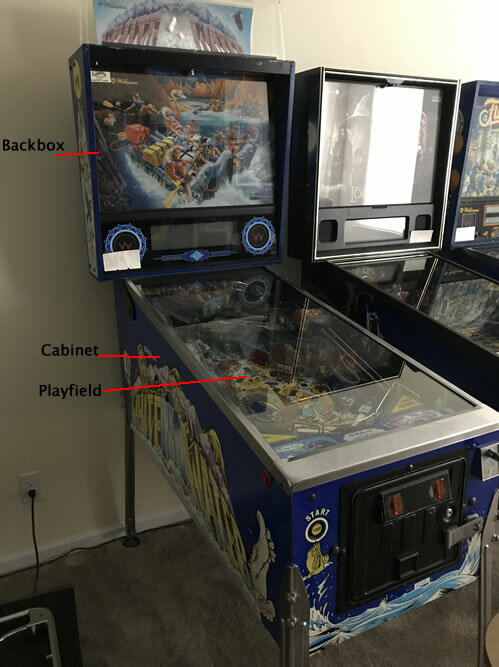 Treasure Cove – Playfield restoration guide. Rivets – for targets, ramps, brackets, etc. Installation Guide – Step by step using the Pinbits kit. Pinbits Rivet Kit Pinrestore Rivet Supplies – Expensive tools, but worth it if doing many pins. Tatco Hand Rivet Squeezer – Not specifically designed for pinball, but works for the small rivets. Action Pinball – Rivet supplies and $200 hand tool. Steve Young’s Pinball Resource – Call for parts. No credit cards, but low prices. Licensed for Gottlieb parts. Large supply of hard to find parts. Prices are generally lower than most. Pinball Life – Perhaps the lowest prices with a very good website. Great for buying rubber rings in bulk. Marco Specialties – Perhaps the largest selection of parts. A great website for parts shopping. Higher prices but great customer service. Bay Area Amusements – Parts for pinball machines, ramps, etc. The Pinball Wizard – Pinball parts supplier. Fairly easy to use website. Mayfair Amusements – Supplies for most machines and most parts. Action Pinball – Supplies for machines. Pinball Center – Pinball supplies for Europe. 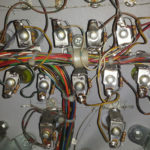 Docent Electronics – This site is especially helpful for hard to find Gottlieb edge connectors, but also has other pinball parts. HappControls – [No longer online as of 2014] A supplier of pinball parts. Sometimes have hard to find parts. Spare Parts Australia – Hard to find parts. Ship around the world. Pinball Center – EU supplier of pinball parts. 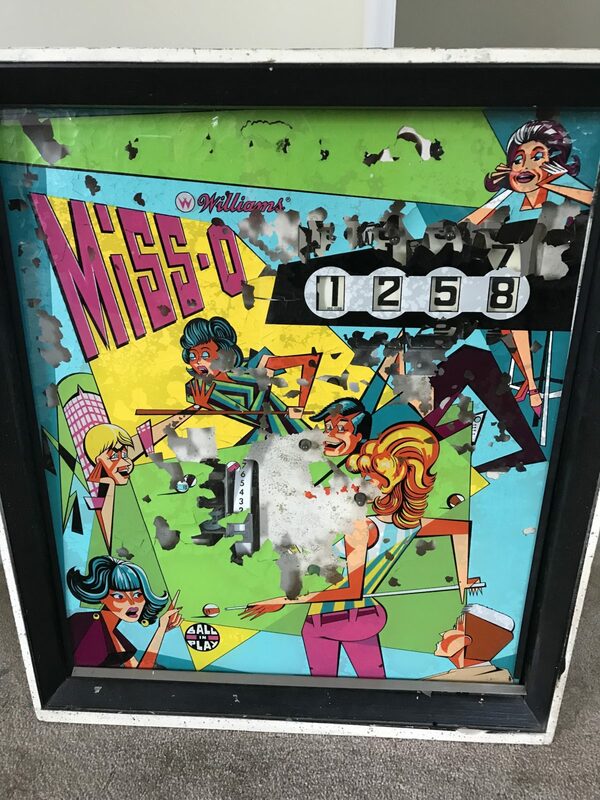 Mr. Pinball Classified Ads – While not a parts supplier, sometimes those hard to find parts can be found used, from collectors. Pinball Heaven – UK parts supplier. 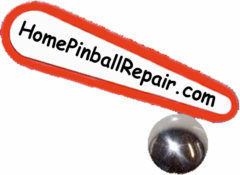 Boston Pinball Company – Specializing in Gottlieb repair parts and information. Great Plains Electronics – GPE is the most comprehensive and lowest priced electronics supplier. Parts for circuit boards. Pinball Electronics – A great NVRAM supplier. Great Lakes Modular – New boards to replace those hard to find ones in SS pins. Jameco – Not specifically for pinball, more friendly to smaller order than Mouser. Mouser Electronics – Complete catalog for circuit board parts. 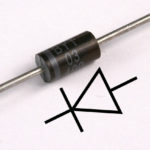 Global Sources – Replace those hard to find axial capacitors. 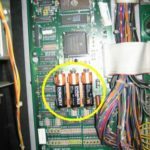 thatpinballplace – John Wart, Jr. is the best place to get EPROMs burned for your machine (site closed 2017). Matts Basement Arcade – New EPROM supplier. WPC EPROM jumpers – How to change the jumpers to accept larger EPROMs on WPC pins. Action Pinball – ROM chips for SS games. Unicorn Electronics – For those hard to find and obsolete parts that even GPE may not have. Big Daddy Electronics – Hard to find and obsolete chips and parts. Arcade Chips – Another great source of those obsolete and hard to find ICs. EPROM Burning – The Real Bob Roberts gives tips for burning EPROMs. Cliffy Protectors – Playfield protectors that cover up existing damage. 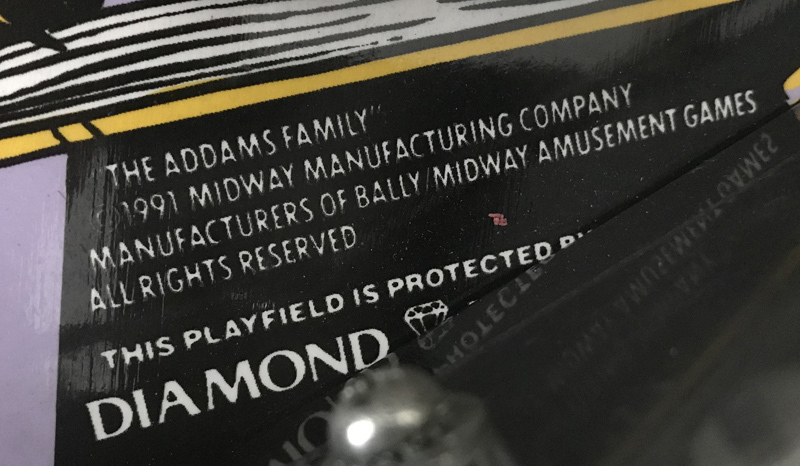 Mantis Amusements – Playfield protectors as well as other parts. Useful in newer playfields before they are damaged. Pinball Inc. – Pinball ramps and decals. Ramp manufacturing closed down in 2014. Rottendog Amusements – New and reproduced SS circuit boards. Allteksystems – New and reproduced SS Circuit boards. WPC Security Chips – Chips needed to run some later Williams games. Pinball Universe – Game specific parts, replacement circuit boards for Solid State (SS) games and more. For Amusement Only – Game specific parts and reproductions. Shay Arcade Group – Reproduction backglass and plastics. Amazing number of different ones, mostly EM 1940’s to 70’s. Cabinet Stencils – High quality stencils to help paint your pinball cabinet and backbox / head. BGresto – Restore and repair your backglass. Absolute Pinball – Canadian pinball restoration and backglass. Classic Playfield Reproductions – Reproduction of playfields and plastic sets. 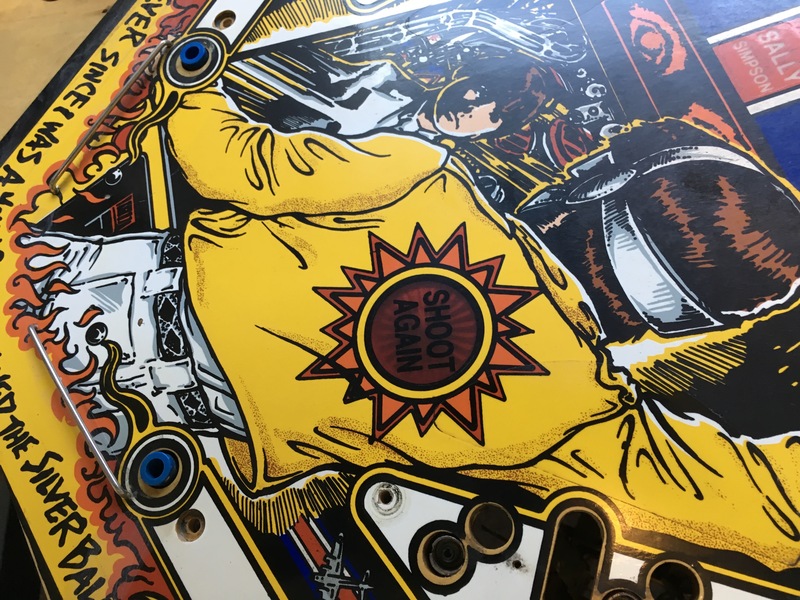 High Class Pinballs – Playfield reproductions and cabinet decals. Starship Fantasy – Manufactures ramps. Carries reproductions of playfields, backglass, etc. Phoenix Arcade – Cabinet artwork and playfield plastics. Treasure Cove – Cabinet artwork. Arcade Shop – Side graphics overlays. Arcade Overlays – Supplies replacement overlays and side art. The Decal Factory – Make your own decals. McGonigal Decals – Overlay supplies. Decal Paper.com – Decal supplies. Pinball Controllers – Specialty board designed to give computer control over your pinball machine. Pinball Plating – Plating and powdercoating of parts. Other restoration help. Illinois Pinball Company – the assets were acquired by Planetary Pinball Supply and Pinball Inc. The Real Bob Roberts – Sadly, he is no longer operating his site. A huge loss. We wish you well. Pinball Life – Great supply of 3 LED bulbs for extra brightness. Their “warm white” LEDs are great replacements that look traditional. CoinTaker.com – Great selection of LED’s. Centsible Amusements – LED and other supplies. Pinball Bulbs – What else, but LED’s for pinball machines. LED OCD – Circuit boards that work on older games so that LEDs work better. Comet Pinball – Large selection of various LED bulbs. K’s Arcade – Great prices on replacement displays. Wolffpac – Kit and assembled LED displays. XPin – Replacement displays and boards. Pinitech.com – Convert those old dead plasma displays to LED. Great idea. Not for the newbie, but a great idea. Displays are also available from the larger parts companies such as Marco, Pinball Resource, etc. Decorator Supply – Protect the playfield plastics from being broken. Internet Pinball Database – Complete and extremely useful. Manuals to download plus more. Instruction Cards – Downloadable instruction cards for games. Lots of cards, but last updated in 2000. 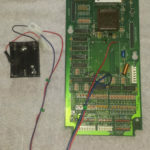 Pinball Instruction & Score Cards – Replace the worn out instruction and price cards in your machine with these free versions. Many machines have custom cards for download. Pinball Flyer Database – Many of the old flyers for pinball games. Great for photos to restore a machine. Williams/Bally Parts – look up part numbers of items in your pinball machine. Parts Catalog – Planetary Pinball has posted lots of manuals to look up part numbers. Where to Play – Collections, Museums and more! Pinball Locator – Find pinball machines to play in your local community. Roanoke Pinball Museum – I happen to volunteer here. Non-profit. A nice collection. Pinball Map – Where to play pinball around the USA and BC. Pinball Expo – Chicago, IL late October. Granddaddy of them all. Louisville Arcade Expo – Early March. AMOA – Amusement Expo Las Vegas, NV – March. Not a true pinball expo. Pittsburgh Match Play Championship – PAPA! Late March. Midwest Gaming Classic – Oconomowoc, WI – April. Rocky Mountain Pinball Showdown – Denver – mid-June. Pinball at the Zoo – Kalamazoo, MI – mid April. Pin A Go-Go – Dixon, California- Mid May. Ann Arbor Pinball Museum Showcase – Mid-May in 2014. Clay is involved, so it must be great. May Day Pinball Tournament – Hopkins, MN. No tournament since 2015. German Pinball Open – Nuernberg, Germany – Late May. NW Pinball and Gameroom Show – Seattle, WA – Early June. California Extreme – Santa Clara, California- July. Pintastic New England – Late June to early July. Replay FX – Pittsburgh. It is fabulous. “[M]ore than 750 arcade and pinball machines, over 2,000 retro console games, tabletop games” . PAPA World Pinball Championship – Check site for dates. 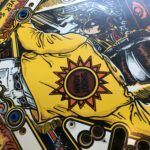 Saratoga Pinball Show – Mid-August. First show was in 2017. Kansas City Pinball and Arcade Show – Website is gone, but they have a Facebook page. White Rose Gameroom Show – York, PA – mid-October. A great show. Stop by areas north of Gettysburg and get apples too. PinballNews.com – Current and late breaking news in the pinball machine world. Covers pinball machine conventions, shows and happenings around the world. Pinball.org – Rule sheets for most modern titles. Pinball.org/videos – Videos explaining how to play the most popular pinball machines and the tricks to get the most points. ArcadeHistory – An alternative Pinballs database. Library of promotion flyers for pinball machines. 47 Things You Need to Know About Your Pinball Machine – Good info. Some controversial. Use slightly abrasive Novus #2? Not according to this website. Pinball Owners Browse private pinball collections from all around the world. Penny arcade Impressive private collection of coin-operated mechanical games, including pinballs. Jersey Jack Pinball – A startup that is on to their 4th pinball machine. Planetary Pinball Supply – Has licensed Williams designs. Parts also. Chicago Gaming – Has licensed Williams designs from Planetary Pinball and is remakinig classic Williams games. American Pinball – Shipping their Houdini pinball machine in 2018. Spooky Pinball – Another new pinball manufacturer. Heighway Pinball – And yet another new pinball manufacturer. Link does not work as of Aug 2018. Reports of insolvency. Homepin – A new pinball manufacturer with the factory in China. Shipping their first in 2018. Dutch Pinball -A pinball manufacturer? Multimorphic Pinball – A modular pinball system? Pinside.com – A newer discussion group that is moderated. Moderation keeps down the idiots but can be a bit heavy handed. Pinball Galaxy Pinball discussion forums, classifieds, pinball locator, home of the Sunday night pinball chat. Electromechanical Pinball Machines – a Yahoo group that specializes in EM pins. Google Maps – A map of owners of pinball machines. Boston Pinball eBay Results – Tabulated averages of sale prices of pins on eBay. A great reference, but with rising prices, these can be a bit low. Pinpedia – Pinball Auction Results – Recent prices on auctions. Difficult to use since varied condition of the pins leads to wide variation in prices, but better than nothing. Mr. Pinball Price Guide – What the going rate is to purchase a machine. Pinball Prices – Sales Database. Pinside – Search for the game by name. Estimated value is listed. Under ‘Market’, there is information about recent sales – prices may not be the sale price. Pinballrankings.com – Official rankings system of pinball players throughout the world. Copyright 2006 – 2019, all rights reserved. Contact us with questions, suggestions for this site, etc.